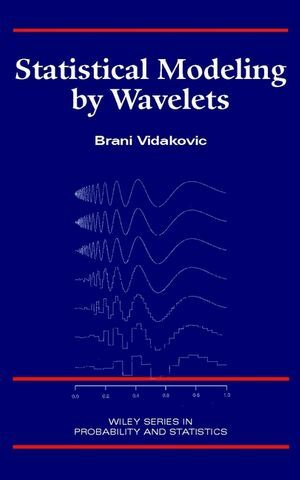 A comprehensive, step-by-step introduction to wavelets in statistics. * Continuous and discrete wavelet transformations. * Statistical optimality properties of wavelet shrinkage. * Theoretical aspects of wavelet density estimation. * Bayesian modeling in the wavelet domain. * Properties of wavelet-based random functions and densities. * Several novel and important wavelet applications in statistics. * Wavelet methods in time series. Accessible to anyone with a background in advanced calculus and algebra, Statistical Modeling by Wavelets promises to become the standard reference for statisticians and engineers seeking a comprehensive introduction to an emerging field. BRANI VIDAKOVIC, PhD, is Assistant Professor at the Institute of Statistics and Decision Sciences at Duke University. Wavelet-Based Random Variables and Densities.